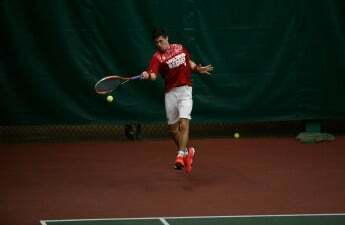 After failing to survive the first day of the Big Ten tournament, a less than stellar Nebraska team on Thursday sent home Wisconsin men’s tennis. The Badgers (14-8 overall, 4-7 Big Ten) crashed out with a 4-2 loss, marking the fifth straight year the team lost in the first round. Despite one of the most promising starts in recent history, Wisconsin ended the season in a rough slide toward mediocrity in the Big Ten standings. The Badgers began this year cruising their way to an outstanding 13-1 record, with their only stumble coming against a top 10 TCU squad. One of these 13 wins coming from the Badger’s victory over Nebraska, in a hard fought battle on the road in Lincoln, where University of Wisconsin triumphed the Cornhuskers 4-3. Thursday’s rematch in Minneapolis, however, proved to be an entirely different story. After quickly the dropping the doubles point, No. 8 seeded Badgers found themselves in an uphill battle against No. 9 seeded Nebraska (14-12, 4-7 Big Ten). 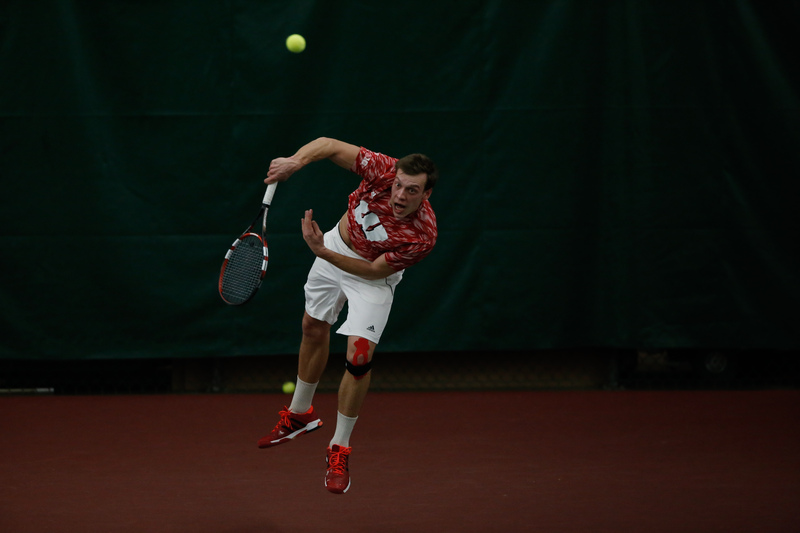 Wisconsin seemed to bounce back temporarily following sophomore Lamar Remy’s 6-0, 7-5 energizing victory over Nebraska’s senior Marc Herrmann. Showing signs of momentum, UW junior John Zordani then gave the Badgers a 2-1 lead after winning a gritty 6-4, 6-4 battle over Nebraska freshman Tomislav Antoljak. But the Badgers just couldn’t quite maintain their temporary surge, and Nebraska countered the brief rebound. In a sudden swing, NU’s Toby Boyer squashed whatever rhythm Wisconsin had discovered by defeating sophomore Chema Carranza 7-5, 6-4. Unfortunately for the Badgers, this would mark the beginning of a lethal three-match losing streak before succumbing to the Huskers in the first round of the tournament. Starting with Darius Mackenzie’s 6-2, 3-6, 6-4 loss to Bradford Zitsch, and ending with Josef Dodridge falling to Dusty Boyer 6-3, 4-6, 7-6 (7-5) in an exhaustive third-set tiebreaker. 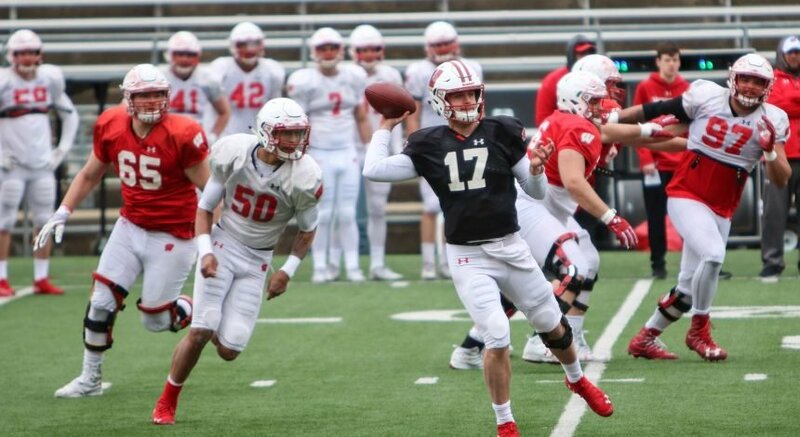 Even though Thursday’s disappointing exit may have been tough to swallow, the Badgers showcased some promising success this year as a whole. For a team that will be returning nine of its eleven players next season, the future for the men’s tennis team should be bright.